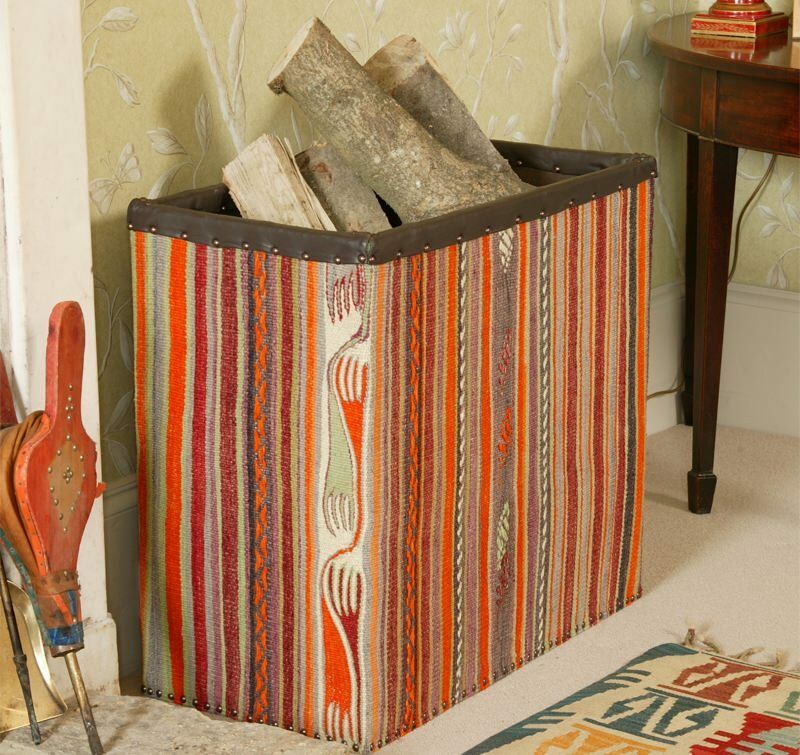 Beautiful boxes locally hand-made in England, an ideal and colourful way to store plenty of logs. 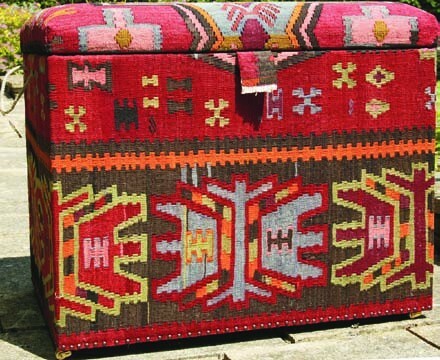 These can be made to any size or colour you wish and are edged with leather around the top. The magnificent log box above was produced to order, large enough to contain coal shuttle and logs. The castors and handles permit it to be easily moved around. This is an excellent example of our design possibilities.